Kenneth P. Weinberg outlines the necessary components of well-drafted equipment lease and equipment financing agreements, including key aspects of both “casualty” and “event of loss” provisions. He also discusses the importance of including provisions that clearly outline expectations for equipment maintenance and application of insurance proceeds. 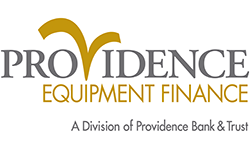 A well-drafted equipment lease or equipment financing agreement differs substantially from documentation often used by traditional lenders in transactions secured by personal property. Some of the key differences are a result of the equipment lessors’/lenders’ focus on the leased or financed equipment. In equipment financing situations, the equipment serves as the key collateral supporting the borrowers’ obligations. Unlike many personal property, secured loans offered by traditional lenders, including loans secured by all business assets, whose collateral can morph from one type of collateral to another type and still generally support the loan, a lender in an equipment financing transaction must pay particular attention to the equipment at all times. A heightened focus is needed in true lease transactions. In such transactions, the equipment helps make the lessor “whole” during the lease term if the lessee does not perform as agreed and, in that sense, serves a function similar to collateral in a loan. In addition, the residual value of the equipment at the end of the lease term is part of the economic return contemplated by the lessor when determining the implicit rate of the lease. The focus on equipment is particularly evident in provisions commonly referred to in the equipment leasing and finance industry as “Casualty” or “Event of Loss” provisions. This edition of “Dispatches from the Trenches” outlines key aspects of such provisions. For ease of reference, the terms lessor, lessee and lease are used, rather than lender, borrower and equipment finance agreement, but the concepts apply equally to both types of transactions, unless the context clearly indicates otherwise. Given the importance of leased equipment value, equipment leases generally have more detailed maintenance provisions than those found in traditional lending documentation. In certain middle market or large ticket equipment leases, provisions are even tailored to the type of equipment being leased. Those provisions effectively address minor damage to equipment that occurs during normal operation. At the end of the day, the lessee must maintain the equipment to the standards set forth in the lease, and damage may need to be corrected to satisfy that obligation. However, in circumstances where the damage to the equipment could be viewed as significant, prudent lessors generally want and need more protection than many standard maintenance provisions provide. For example, a lessor will want notice of the event causing the damage, along with reports provided by or to any governmental authority, insurer or person injured in connection with the accident. Some of these details are particularly important on transactions designated as a lease, whether or not the legal effect is that of a true lease, given the increased chance of the lessor being brought into a suit arising from damage caused by the leased equipment to other persons or property. The lessor may also be obligated under insurance policies that it maintains for its own benefit to report the incident in order to assure maximum coverage. In addition, the lessor may want information regarding the repair of the equipment and any impact on its residual value, in the case of a true lease, or its value as collateral, in the case of an equipment financing. After all, the lessee’s desires may differ substantially from those of the lessor depending on the type of transaction and when in the term the casualty occurs. For example, the lessee may try to make lemonade out of lemons by customizing the equipment during the repair process. For equipment finance transactions, such customization may make the equipment less marketable to third parties in a foreclosure situation. In true lease transactions, there is the added concern of a loss of tax benefits that can result from the equipment being deemed to be limited-use property. In order to address the foregoing, a well drafted equipment lease will require the lessee to notify the lessor in writing within a set period of time after the occurrence of an event which causes material damage to the equipment. Sometimes, instead of using the materiality requirement, the notification threshold is based on damage likely to exceed a certain dollar amount or percentage of the equipment value. Any such notice should provide the information discussed previously. The lessee should also be obligated to provide such other information, and periodic reports, that the lessor reasonably requires. The lease should specify how quickly the lessee must repair the equipment to the standards required by the lease, and any approval rights or other details regarding the manner in which the repairs are made. A well drafted equipment lease will have additional provisions to address situations where the equipment: (a) is damaged to the point that repairs would not be economical; (b) is deemed to be totaled by the insurer providing the coverage under the lease; or (c) is lost, stolen, condemned or seized by governmental authority — often referred to as an “Event of Loss” or a “Casualty Occurrence.” Again, the lessor will want prompt written notice of such an occurrence, together with the relevant details discussed previously. In addition, the lease should address whether the equipment must be replaced or, alternatively, the lessee should pay the lessor an amount intended to address the fact that the equipment is no longer in the state required by the lease. In the latter case, the amount due is often referred to as the “Casualty Value” or “Stipulated Loss Value.” The initial question is who has the right to decide whether the lessee replaces the equipment or pays the lessor its Casualty Value. Lessors in true lease transactions are more likely to want the right to dictate whether the equipment is replaced than lenders in equipment secured financings, since the lessor in a true lease has the benefit of the residual value at the end of the term — particularly if the purchase option is based on the appraised fair market value of the equipment at the end of the term, rather than a fixed price determined at the beginning of the transaction to be a reasonable approximation of the fair market value at the end of the term. If the lessee must replace the equipment as the end result, the lessor will want and need the replacement equipment to have a value, utility and remaining useful life at least equal to the equipment being replaced (assuming such equipment was in the condition required by the lease prior to the Event of Loss). In true lease transactions, the replacement equipment must not be of a type that creates adverse tax consequences. In any event, the replacement equipment needs to be free and clear of liens or encumbrances other than the lessor’s ownership interest or the security interest. In addition, new lease amendments, UCC filings, certificates of titles or other documentation may be necessary to reflect the replacement equipment. If the lessee must pay Casualty Value to the lessor as the end result, it is crucial that it be calculated in a manner that provides the lessor with the benefit of its bargain. At first glance this concept appears to be very straightforward for equipment financing transactions, since the lender has bargained for repayment of outstanding principal, accrued and unpaid interest, and possibly a prepayment premium. However, prudent lenders should consider carefully what happens when only part of the equipment is subject to an Event of Loss. In that case, how does the lender determine the pro-rata portion of the loan to be repaid? Is the amount based solely on the initial equipment cost? Can the lender use its discretion to determine the value of the damaged equipment as collateral immediately prior to the Event of Loss (assuming such equipment was in the condition required by the equipment finance agreement)? After all, some equipment holds its value much better than other equipment. If the equipment subject to the Event of Loss is of sufficient value, compared to the value of the remaining equipment, or sufficiently important to the functionality/value of the remaining equipment, can the lender simply require repayment of the entire transaction? Consider for example if an Event of Loss occurs with respect to a key component in a manufacturing line. Determining the Casualty Value is more complex in true lease transactions. These transactions have the same issues discussed above when an Event of Loss occurs with respect to less than all leased equipment. In addition, the economic benefits for which the lessor bargains in a true lease include not only the rental payments, but also the contemplated residual value of the equipment and the end of the lease term, and certain tax benefits afforded to the lessor as the legal owner of the equipment. Given this complexity, many lessors use a Stipulated Loss Value Table or other chart which specifies the amount of the Casualty Value — or Stipulated Loss Value — for each month during the term based on a percentage of the original equipment cost. Since the Casualty Value is expressed as of a given payment date, well drafted lease provisions specify whether the rental payment otherwise due on that date should be made in addition to the payment of the Casualty Value or, alternatively, is included in the Casualty Value specified on the Stipulated Loss Value Table. Irrespective of whether the lessee replaces the equipment subject to the Event of Loss or, alternatively, pays the lessor the appropriate Casualty Value, well drafted lease forms will specifically address the title and disposition of the equipment that was subject to the Casualty. In loan transactions, a lender should simply release its lien on such equipment. In a true lease, a lessor should convey its title as is, where is and with all faults to the lessee or, at lessee’s election, to the applicable insurer. Leases generally require the lessee to maintain property insurance listing the lessor as loss payee, and well drafted leases address how proceeds of insurance are applied in light of the various provisions regarding repair or replacement of damaged equipment, or the payment of Casualty Value upon the occurrence of an Event of Loss. Such provisions should not obligate the lessor until it has received unconditional and indefeasible payment from the insurer. In addition, the provisions should only obligate the lessor with respect to insurance proceeds received from insurance maintained by or on behalf of the lessee under the lease. The lessee should not have any claim or rights with respect to insurance separately maintained by the lessor for its own protection. To the extent the lessor receives insurance proceeds from the lessee’s policy at a time that Casualty Value is due, the proceeds can be applied to the lessee’s obligation to pay the Casualty Value. If the lessee has already paid Casualty Value, the proceeds can be remitted to the lessee so long as no default or event of default has occurred and is continuing. If equipment is being repaired or replaced, some lessors contractually agree to cooperate in good faith with the lessee to pay insurance proceeds to the applicable repairmen or vendors, or upon satisfactory evidence that such amounts have already been paid by the lessee, insurance proceeds can be remitted to the lessee, again if no default has occurred and is continuing. 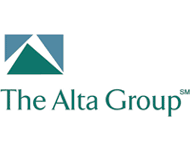 Lessees of significant credit quality sometimes negotiate for insurance proceeds to be given to the lessee for use solely in connection with making repairs or replacements in accordance with the terms of the lease, a solution that also eases the administrative burden on the lessor. In such situations, the lessor and lessee often negotiate for amounts in excess of an agreed upon threshold to be retained by the lessor for application as described above. Well drafted leases should also explicitly provide that the risk of any loss to the equipment is borne by the lessee, and not the lessor, such that the lessee’s obligations under the lease remain absolute, unconditional, non-cancellable and without reduction, abatement or set-off, notwithstanding any damage, destruction or loss of, or to, the equipment. Such a provision is particularly important in true leases where the lessee is technically paying the lessor rental for use of the equipment. As a practical matter, such a provision should be included in all equipment leases and equipment financings, irrespective of the ultimate tax treatment of the transaction. Given the crucial role that the equipment plays in any equipment lease or equipment financing, prudent lessors and lenders should review their documents carefully to make sure they contain provisions that adequately address various issues relating to damage to, or destruction or loss of, the equipment, including the types of issues discussed above. Casualties occur, and, although in most cases the lessors/lenders and lessees/borrowers cooperate in good faith when in such situations, clear provisions help set expectations and lead to the smoothest resolution of the issues that can arise. Detailed provisions also provide a nice roadmap for personnel that are in the trenches and addressing such issues. In situations where a relationship has soured for other reasons, such strong provisions are crucial to protect a lessor’s or lender’s interests and the benefits for which it bargained.